WHY USE OUR AIR CARGO SERVICES? Our expert listens to you, evaluates your request and arranges the best flight for your needs under optimal conditions. 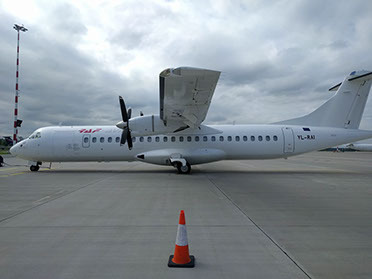 Our Cargo Charter Department moves quickly to expedite the entire process, from charter request to the delivery of the cargo. 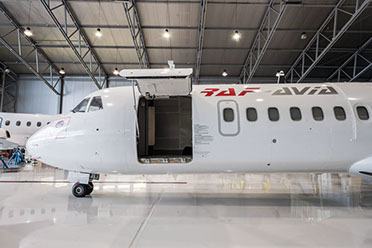 We propose the solution adapted to your needs 24/7, All communication concerning flights operated by RAF-AVIA is carried out by the Flight Operation Support (FOS) Unit. Starting from car spares, oil equipment to live animals, RAF-AVIA has the necessary licences to carry radioactive goods and dangerous goods in accordance with international, EU and national legislation. These licences are necessary for us to provide the services to our customers. Cargo is handled, loaded / unloaded, stored, transported, and delivered to its consignee with the same top-level care the customer shows to his shipment. High safety measures are implemented throughout the process, from the delivery of cargo to our terminal, to its transportation via our aircraft, from storage to delivery to the consignee. 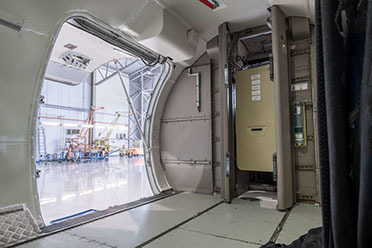 We strive for high standards and approachability to be there for our clients when they need us, where they need us, and with the aircraft that suits their needs best. 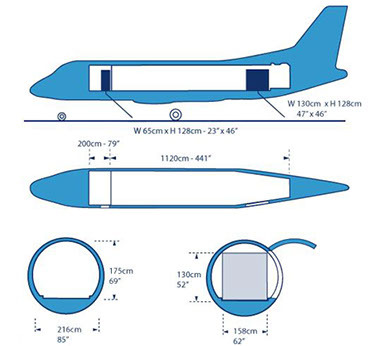 Saab340 in its cargo configuration serves best for small and medium size shipments up to 3.7 tones. Its technical characteristics make it one of the most versatile and reliable aircraft of today. It is able to carry cargos between large hubs and remote airports. So our clients can rest assured – shipments will be delivered regardless of what is their destination. Primarily built for military needs AN26 is a tough work-horse that is able to carry oversized loads and work in extreme conditions. Its rear ramp and removable roller floor makes it ideal for shipping various kinds of goods with total weight up to 5.5 tones. That may include equipment for manufacturing, assembly or construction. 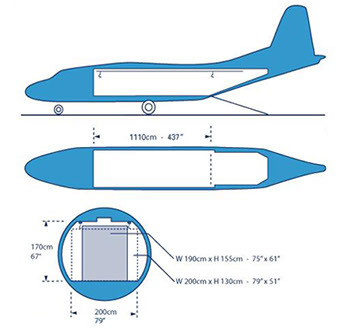 Uniquely for an aircraft of its size AN26 is able to carry cars and other one-piece items up to 2.5 tones.